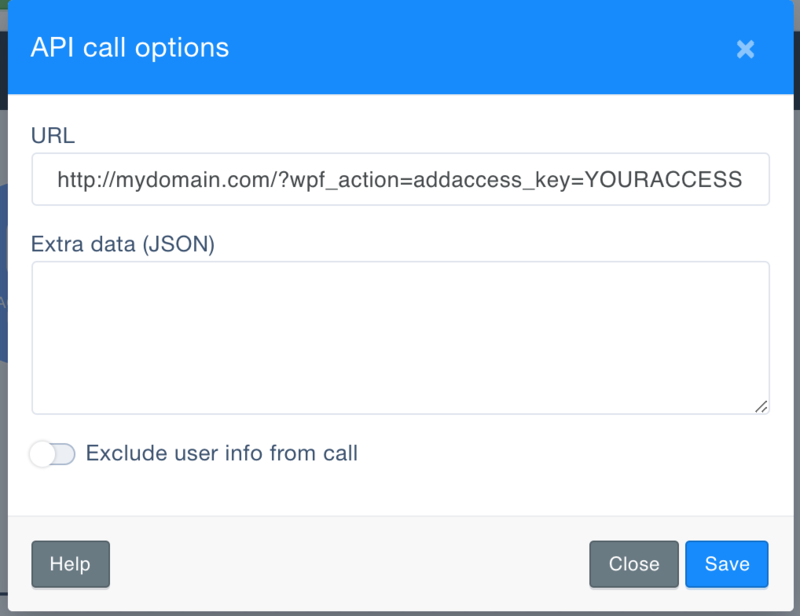 You can use webhooks in UserEngage to send data back to your WordPress site using WP Fusion. Using webhooks you can create new users on your WordPress site based on rules in UserEngage, or update existing users’ meta data and tags. Having trouble receiving webhooks? Check out our troubleshooting guide. Go to the Automations page under the Engage menu in the sidebar and create a new rule. Select a trigger for the rule, such as when a page is visited, a field is modified, or a tag is applied. In the screenshot below we’ve configured the rule to be triggered whenever the “Add User to WP” tag is applied. You can also specify any conditions you’d like to be met, or leave this section blank. 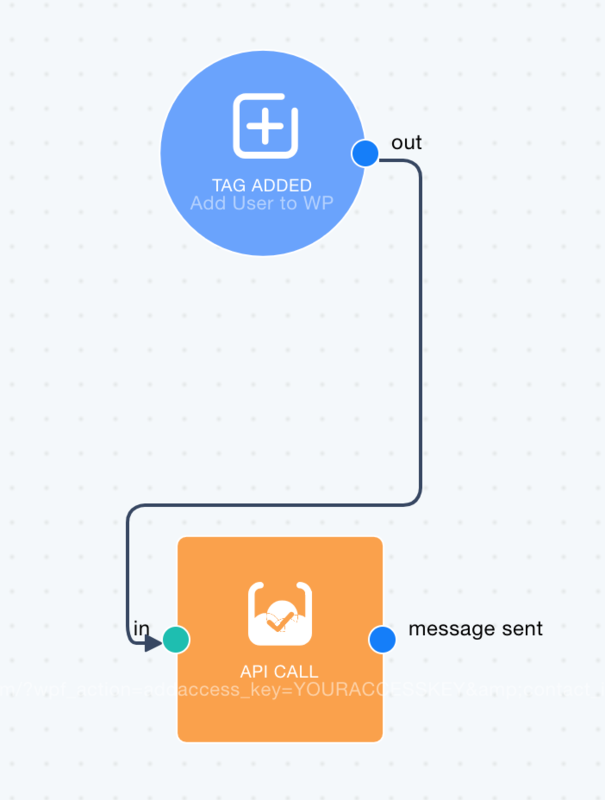 Under “Actions”, choose “API Call” from the dropdown menu. Enter the URL to your site following the examples in the next sections. You can get your site’s unique access key from the bottom of the main WP Fusion settings page. Note that you have to have registered a “customer” role on your site for this to work. By default users will be assigned the role of “subscriber”. The add method will update a user if an existing user already exists. It will not create a duplicate user. Note: By default, user accounts will be created with their email address as the username and a randomly generated password. However, if you have created a custom username field and password field in your UserEngage application, and enabled these fields in WP Fusion for sync with user_login and user_pass on your website, the new users will be given the usernames and passwords stored in their UserEngage contact record. New user accounts will be created with an automatically generated password. If you’d like to use this password in your email marketing, you can send the password back to UserEngage after it has been generated. In the Webhooks section of the General settings tab, check the box for Return Password, and select a field in UserEngage where the password should be stored. After a new user is created, their automatically generated password will now be saved back to their contact record, and you can use a merge field to include it in an email. The username will be the contact’s email address.